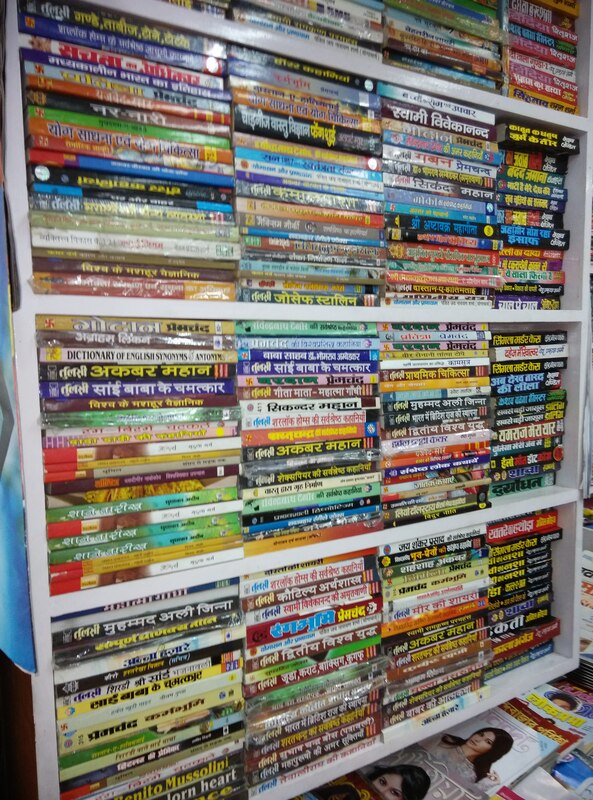 This morning I was traveling by train between Pune and Mumbai, when I saw a bookstore at a railway platform. As usual, I decided to check out what was selling. It was a real eye opener. 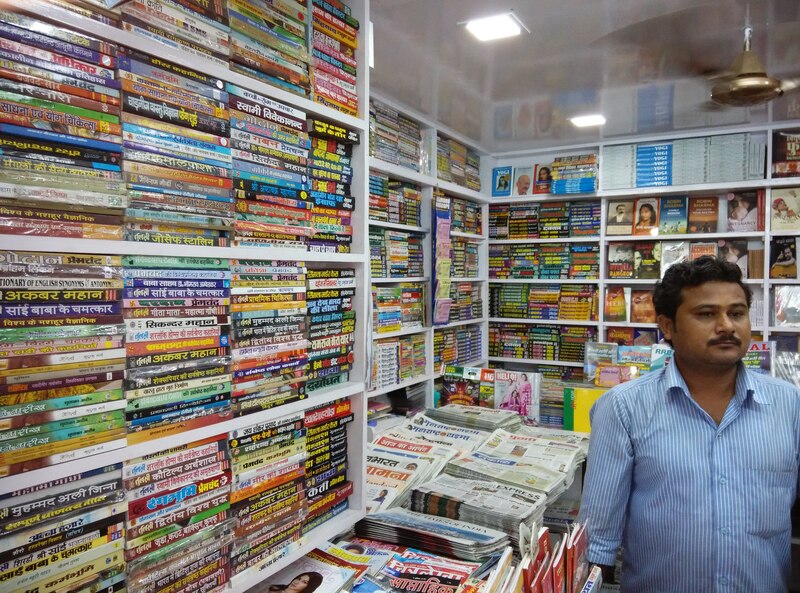 The number of Hindi language books that were stacked in the bookshop far exceeded the number of English language books.This was a stark contrast from the bookstores one finds in Malls, airports and office buildings, which are dominated by books in English. Hindi and regional language books almost get a stepmotherly treatment. The shopkeeper, Dinesh, was more than happy to let me take a few photographs, which I am posting below. In Hindi, there is a phrase “Jo dikhta hai, woh bikta hai.” In simple words, it means that visibility matters for sales. So if one is seeing more Hindi books than English ones, then that could confirm that in terms of sales volume, Hindi language books in India represent a much bigger market. Just how big? I will try and assess the same in the coming weeks. And look at translating Now, Returned to India in Hindi. Next Post Which books are selling on the Streets of Gurgaon?